Well…. I sure did slack off but I sure don’t regret anything I’ve done over the last year except maybe not documenting it all better? Oh, and breaking my ankle…. that stunk but you know what didn’t stink? EVERYTHING ELSE! Since last we crossed internet paths…. 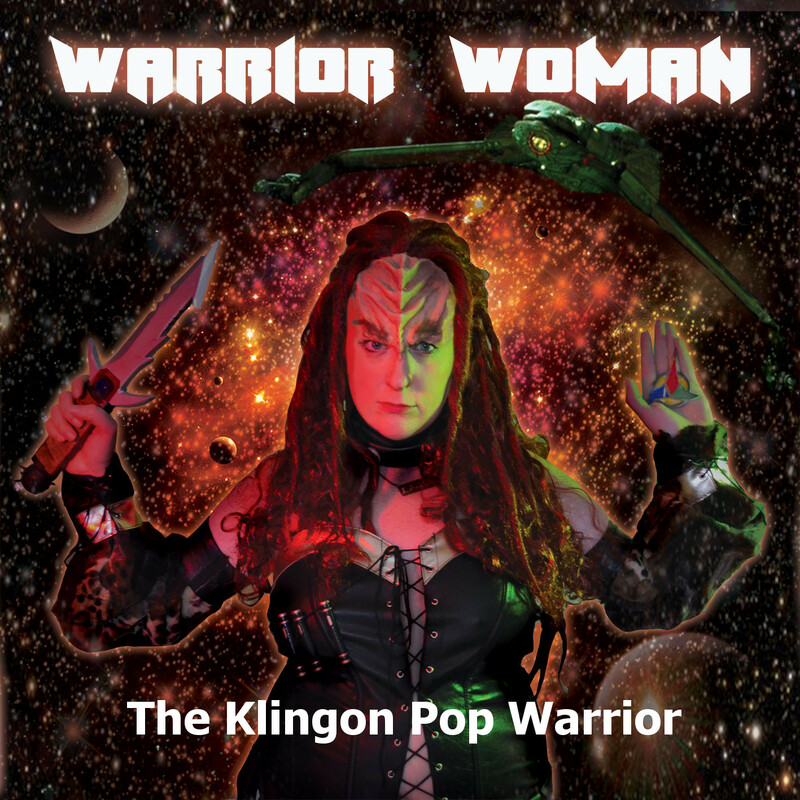 I ran a modest but successful Kickstarter that enabled me to self-produce a CD of pop songs in Klingon. I dove deep into my love of craft beer. I bought my first big girl comics. 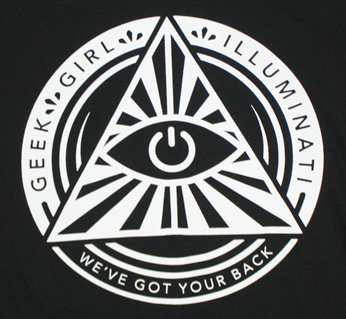 I am co-captaining the Chicago chapter of the Geek Girl Illuminati. 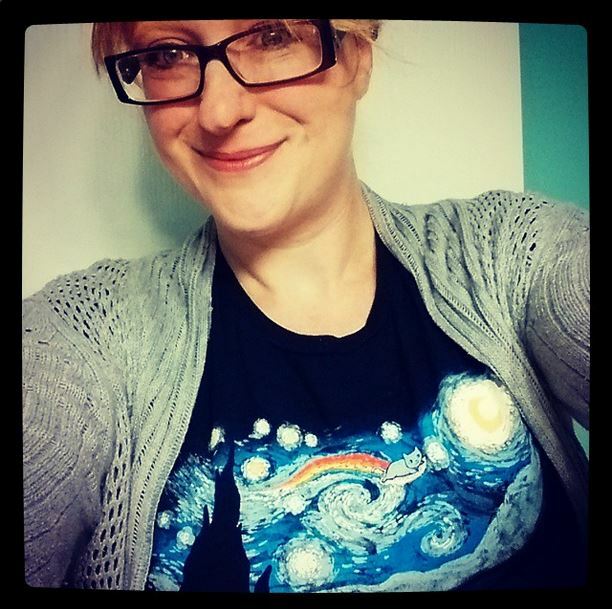 2015 is all about finding my geek girl bliss…. Look how blissed out happy I am in this picture. I am throwing myself into so many great things… From geeky lady events to conventions to comics to a craft beer group for women, putting myself out there has been the most liberating experience. My creativity is thriving and I smile so much more! Here’s what I’m doing to make 2015 my Year of the Geek Girl. If I can do this stuff, I promise you can, too! I’m so stupendously excited about the Geek Girl Illuminati. Founded by Stephanie Cooke up in Toronto and based on a killer design by Kate Leth (who gave her blessing to use the artwork), we’ve already had some great geeky lady networking and fun in Chicago. From book clubs to board games to just hanging out, we’re covering it all! For me, GGI is like a real world embodiment of what I envisioned for Inclusionary Geek Girl originally. A place for geeky girls to live fearlessly. A place where we can try new things with a support group of like-minded women excited to share their individual passions. Over the years, I have really come to cherish my gal pals. They provide a totally different perspective and level of passion and understanding and their enthusiasm is so contagious! We held our first event at Challengers Comics on one of the coldest days of our Chicago winter. Below freezing temps could not keep the amazing geek women away! We had comic lovers and Doctor Who fanatics and Disney fans and Lady Bronies and more! The turnout was beyond what I ever expected and the amount of inner light shining out through the laughter and smiles should have unfrozen the entire Midwest. Even though it was a very low-key event, everyone was so excited to just… be. It was inspiring. It was empowering. It was women lifting each other up and it was awesome to facilitate! Check us out & we’ll keep you posted on upcoming events! Last year, after saying I was going to do something with the popularity of the Klingon “Kiss Me” video for over a year, I jumped into the process of recording a bunch of pop songs in Klingon. I ran a Kickstarter so I could pay my musicians, pay for song rights and make some very limited edition CD’s and get a digital distribution package. Not only did I succeed, I hit 2 stretch goals expanding the 4 song EP to 6 songs total! This warrior woman will slay you with song! So many book clubs… I’ve posted reviews for the books for the Vaginal Fantasy book club in the past. Tying back to the Geek Girl Illuminati, we’re helping boost membership for a new YA book club, our Chicago Vaginal Fantasy group and we’re talking about starting a monthly comic book club! Ladies want book clubs! I started reading Saga, Hawkeye and Fables and picked back up the Firefly/Serenity comic, too. Better still… I’M LOVING THEM! My to-read pile jumped from 0 to way too many. Hopefully, I’ll get my self together and be able to write some posts about them from a “totally new to comics” perspective! My husband started homebrewing a couple of years ago. We went from loving craft beer to obsessing over it. Our vacations and trips now turn into scavenger hunts for local breweries and we’ve gone out of our way to visit Grand Rapids, MI in November… TWICE. One of the girls from Geek Girl Illuminati noticed me checking into Untappd (it’s amazing how GGI is getting our local ladies sharing!) and turned me on to a group called Barley’s Angels…. OH. MY. GOD. Monthly meetups with all kinds of other ladies who love craft beer as much as I do?! Even my husband said, “You’re going, right? I mean you have to go.” I did go and it’s a blast. They have groups all over the country but their website doesn’t appear to have a list. If you are a lady craft beer lover, you absolutely must hunt around on Facebook for your local chapter! Sadly, I missed 2 conventions right out of the gate for 2015 due to this whole broken ankle situation but I have more to come and I did make it to C2E2 for a day which was overwhelming & difficult maneuvering with my knee walker… but I did it! Upcoming for the year…. I have a 3 day pass to the official Star Trek convention in June here in Chicago. Can’t wait to get my picture taken with George Takei! There is a very large international delegation of Klingons gathering together at WindyCon this year. There will be some leadership changes coming and lots of panels! Our ship is very excited to be playing host. This is a fantastic local fan run convention. Great art room and solid dealer room and the parties at night are insane! I’m hoping to attend Geek Girl Con in Seattle but I may need to hold off until next year after all.